Like pretty much everything else ever, history is driven by two things: love and procreation. And as we all know, when more than two people are involved things can get complicated. Some of the most famous romances in history were love triangles between powerful individuals, creating tons of complicated dinners at home and awkward personal conversations. From ancient Rome, where the many loves of Mark Antony (including his liaison with Cleopatra VII of Egypt) caused him to lose control over Rome to his brother-in-law, to seventeenth-century France, where notorious lothario Louis XIV pitted two of his best-known mistresses against one another, there are some deeply messed up love triangles throughout history. Ever wonder how much of the modern world has been shaped by people wanting to bone multiple partners? Of course you have. The Parties Involved: Henry VIII, Catherine of Aragon, Anne Boleyn, et al. Henry VIII of England was the King of England and Lord of Love Triangles. He pretty much created an entirely new church to get away from his first wife! Originally married to Henry's late elder brother, Catherine of Aragon (a Spanish princess) found herself Queen of England by marrying her first spouse's little sibling, Henry. A few years older than her new hubby, Catherine was a devout, loving wife to Henry, even through heartbreaking miscarriages, stillbirths, and his many affairs. Things changed, though, when Henry fell in love with Catherine's lady-in-waiting, Anne Boleyn. Catherine hadn't given birth to a male heir (and Henry's dad brought an end to more than a century of internecine warfare, so that was important), and Anne wanted Henry to marry her, not just have a cheap fling. Henry sought a divorce from the Pope, who wouldn't give him one. Partly because of his desire to get away from Catherine and marry his "true love," Henry broke off from Rome and formed the Anglican Church. As the head of the Church, he could give himself a divorce, which he did. Henry married Anne, they had the future Queen Elizabeth I, and the rest is history. There were many loves in King Louis XIV of France's life, but two of the biggest were his longtime mistress, Madame de Montespan, and his nun-like final wife, Madame de Maintenon. Louis's sister-in-law, Elisabeth-Charlotte, called them "two of the worst women in the world." What did they do to earn such admonition? Initially married to his first cousin, Maria Theresa of Spain, Louis (the hottest king in Europe) cheated on her constantly. 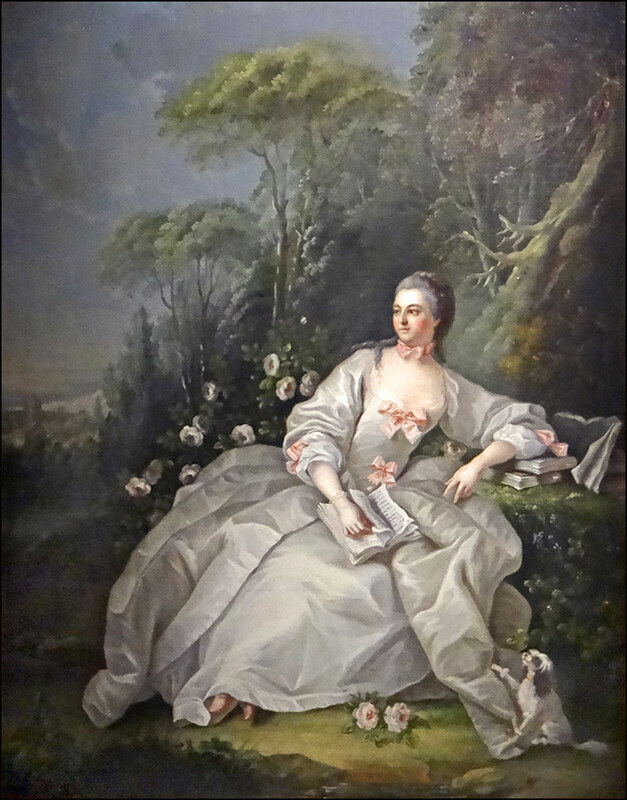 His number one lady for decades was Françoise-Athénaïs, Marquise de Montespan. A greedy, ambitious noblewoman, Montespan bore Louis seven children and maintained her spell on him, until she was accused of consorting with witches and lost his favor. Eventually, Louis's wife passed and he felt a bit lost morally. He also got tired of Montespan's temper and passion around this time. He turned to Madame de Maintenon, the governess for his kids by Montespan, and fell for her quiet, pious nature. The ladies had once been friends, but that all changed when Maintenon took Montespan's man. Against his ministers' will, Louis was even persuaded to marry the widowed Maintenon (who'd become his mistress) and their union remained secret for 30 years. Andrew Jackson took the life of a guy who insulted his beloved wife, Rachel. Technically, they weren't married for a long time, as Rachel was still legally wed to her first husband, who would get physical (although she believed herself to be divorced). The Jacksons re-married in 1794, three years after their first union, once Rachel was free. Andrew was notoriously devoted to Rachel and was furious when his political opponents insulted her as a religious country bumpkin. One guy, Charles Dickinson, dared to mention the bigamy scandal and accused Jackson of not paying up on a bet. He even published an essay dissing his rival. Outraged, Andrew challenged Dickinson to a duel. Jackson wrote, "Your conduct and expressions relative to me of late have been of such a nature and so insulting that requires, and shall have my notice…I hope, Sir, your courage will be an ample security to me, that I will obtain speedily that satisfaction due me for the insults offered." In 1806, the two met for a duel. Jackson was hit during the first round (meaning he technically lost). But this was part of his strategy. He re-loaded and shot again, killing Dickinson in a technical violation of duel rules. Jackson wasn't prosecuted for taking Dickinson's life, as dueling was considered a legitimate form of settling grievances at the time. The last Ptolemaic pharaoh of Egypt, Cleopatra VII, had celebrated romances with both Julius Caesar and his protégé, Mark Antony. But the real love triangle came with her, Antony, and Antony's wife/Caesar's great-niece (and sister of his archrival), Octavia. It was partially over Antony's abandonment of Octavia, some say, that Antony and Octavian (later known as Rome's first emperor, Augustus) went to battle one last time and the Roman Empire was created. In 40 B.C.E., Octavian and Antony were butting heads as co-rulers of Rome (with Lepidus). To smooth over rough edges between these guys, Antony married Octavian's sister; a few years later, Octavia even helped bring about a treaty between the two. But this didn't last forever; Antony went off on a campaign and resumed his affair with Cleopatra, abandoning his wife and kids (by that marriage) and arranging for a divorce. 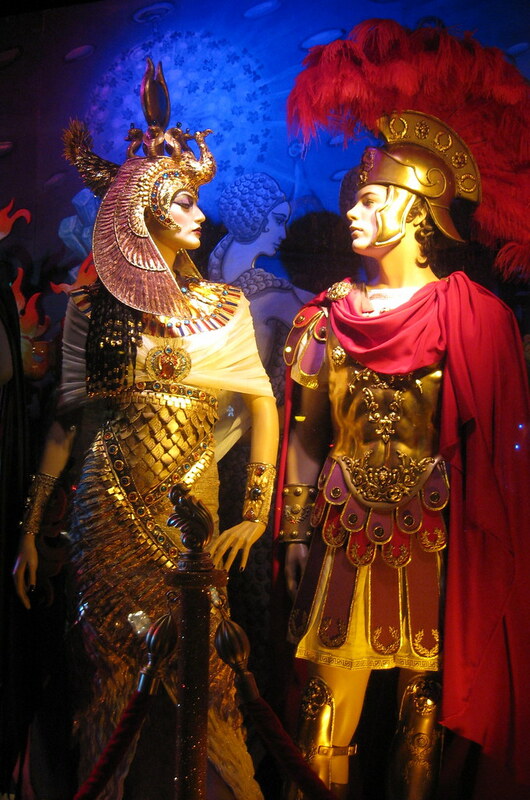 But Octavia was no victim, instead emerging as a legitimate political rival to Cleopatra. Once Antony emerged as Octavian's sole rival for control of all Roman territories, Octavian played up his ex-ally's abandonment of his sister and portrayed him as an un-patriotic trash person. He used familial marital discord as an excuse to do battle and gain ultimate power over the half of Roman provinces Antony didn't control. Their conflict culminated in the Battle of Actium in 31 B.C.E. between Antony and Octavian's forces, in which the latter defeated the former and made himself master of Rome, once and for all. Hail, Caesar.